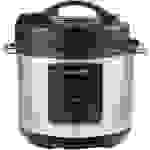 Instant Pots are so hot right now. Everyone from The New York Times to your old high school friends on Facebook are talking about them. And for good reason: An electric multi-cooker, like our new favorite Instant Pot Smart WiFi (available at Amazon), can transform your weeknight dinner routine and expand your cooking repertoire. What used to take an hour now takes 20 minutes, and recipes that once dirtied all of your pots and pans now only require you to wash a pot, a lid, and your cutting board. But before you add yet another gadget to your already crowded kitchen cabinets, it's worth learning what a multi-cooker is, and which model might be best for you. The answer to the first question is easy. A multi-cooker is a countertop appliance that combines the functions of a slow cooker, rice cooker, pressure cooker, yogurt maker, and more in one unit. It allows you to cook almost anything you’d like in a single pot, quickly and without overheating. You can think of it as the one-stop shop of the home cooking world. 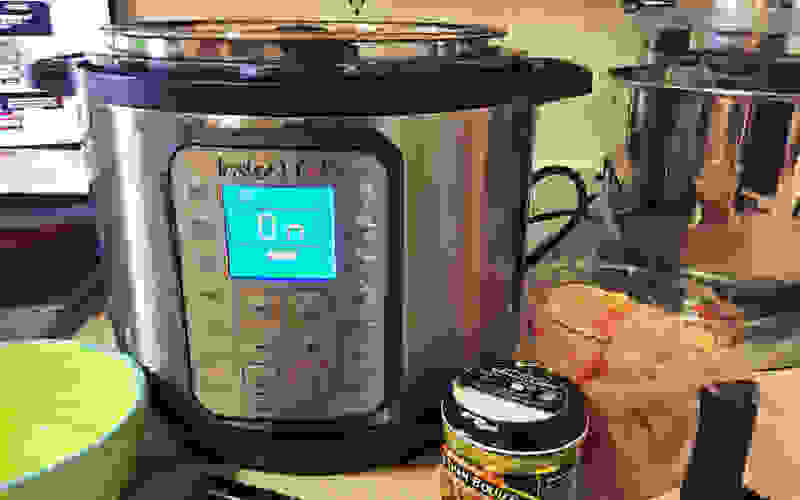 Given the spectacular success of the Instant Pot, we wanted to compare it to other brands to see if it really is a cut above the rest. So, we researched the various models and brands on the market, originally testing four of the most popular and well-regarded multi-cookers in early 2018. We then discovered and tested three more contenders at the year’s end. We judged them on ease of use for different recipes, how tough they were to clean, and of course, how well the food turned out. After such extensive testing, we knew which ones we’d clear space on our counters for. 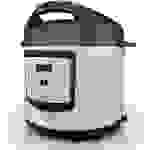 (Looking for an Instant Pot-only guide? We compared all the current Instant Pot models for you so you find one that suits your needs). The recently-released Instant Pot Smart WiFi is everything a multi-cooker can (and should) be: fast, efficient, precise, intuitive, and perfectly capable of replacing most other devices in your kitchen. 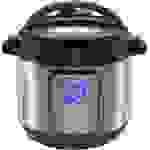 The Smart Wifi is Instant Pot’s update to the Smart Bluetooth, a middling product that suffered from poor app maintenance and connectivity issues. Luckily, this version faces none of those issues, and instead provides a handy 8-in-1 appliance with the convenience of WiFi connectivity, allowing you to set, monitor, and control your multi-cooker from virtually anywhere. Beyond this new technology, the Smart WiFi shares most of its DNA with the existing Duo Plus, save for the latter’s “Sanitize” function. If a smart-connected device sounds too complicated to have in the kitchen, don’t worry—the Instant Pot Smart operates just fine without the app, too. While I did use the app at points throughout testing, I usually fell back into entering controls manually (this is my job, where else did I have to be?) and found it incredibly easy to use. My coworkers and housemates loved both the risotto and yogurt made in this Instant Pot, and while the chicken for the soup was slightly “shredded” by the pressure-cooking process, the flavor of the final result was still strong. 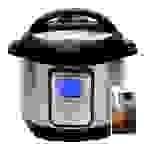 It’s worth noting that when the Instant Pot changes between modes, the beeps are LOUD, which can be helpful or annoying—but you can turn the sound off if you’re trying to sleep. If you’re into micro-managing your dinner, this model also allows you to choose between “Less,” “More” and “Normal” settings for each preset. If you’re not that kind of person, it also comes with 750+ pre-programmed recipes that simply let you press a button and forget about the meal until it's done, something no other multi-cooker can claim. 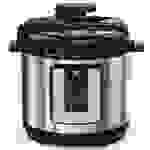 If you’re looking for a more basic multi-cooker, the Crock-Pot Express Crock Multi-Cooker, which was our original best overall (and now our best value pick) or the original Instant Pot Duo may be more your speed—but the Smart can do everything you’re looking for and more at a very competitive price, making it our top pick. With decades of experience in making slow cookers, Crock-Pot clearly knows what it's doing in the kitchen. 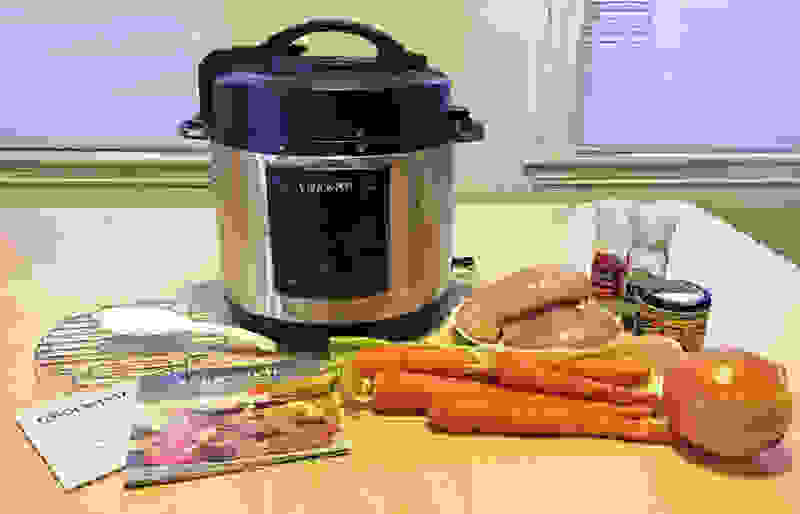 That experience shines through with the Crock-Pot Express Crock Multi-Cooker, a user-friendly gadget that aced nearly every test we put it through. 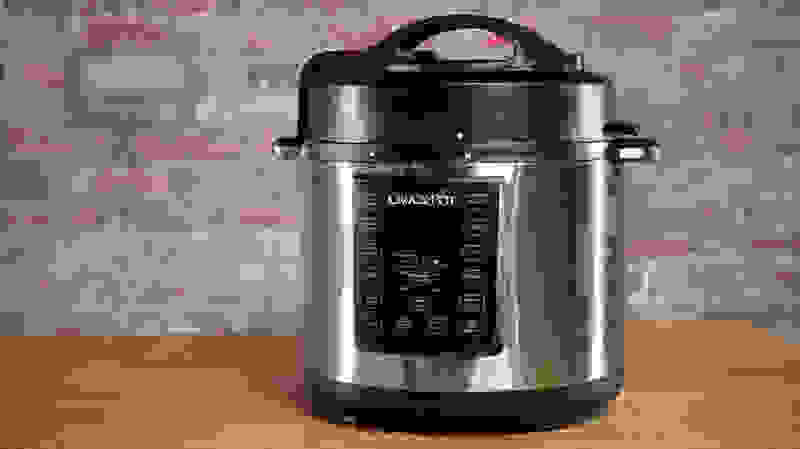 Once our top choice overall for its ease of use, it’s now our pick for best value, as it’s available for $30-40 cheaper than comparable Instant Pot models. The only issue with this multi-cooker may be its size. It has a larger footprint than the other models we considered, so it looks like a behemoth if using it in a tiny kitchens. That said, no multi-cooker is going to squeeze into a corner or fit neatly on a shelf and we found this one well worth the space. I'm Bethany Kwoka. I love a good, healthy dinner—and I love to cook! However, I have zero patience when it comes to being hangry on a Tuesday night. By the time I get home from work, I’m exhausted and starting to fantasize about takeout. The last thing I want is to spend an hour and a half slaving away over the stove. This made me the ideal candidate to test multi-cookers. I also enjoy leftovers for lunch (and who doesn't love saving money?). In other words, bulk cooking—easily accomplished in a 6-quart multi-cooker—is my friend. If you similarly strive for leftovers, or are cooking for a large family, a multi-cooker makes a lot of sense. So after some initial research, I cleared my countertop, tucked away my 6,000 other kitchen gadgets, and convinced my similarly time-constrained housemate to give me his thoughts on the results. 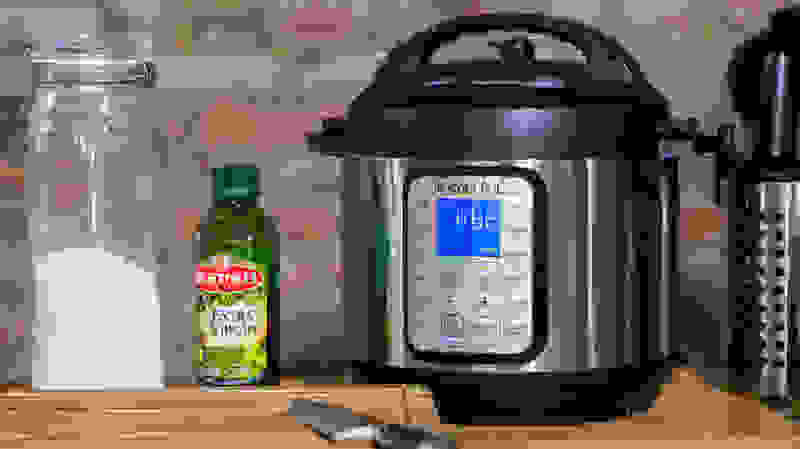 Update: Hi, I’m Cassidy, another kitchen writer who updated this article in December 2018 (almost a year after its initial publication) to include three new models: the Instant Pot Smart WiFi, the Taotronics TT-EE007 Multicooker, and the Black and Decker Electric Multi-cooker. I used the same exact recipes as Bethany throughout my testing (see: the two gallons of yogurt in my fridge), and compared all my notes and scoring to her original results before re-ranking our picks. While I own a dishwasher, I also hand-washed everything (pruned fingers and dry skin be damned) for comparison. Before selecting our final list of multi-cookers, we looked at a total of 20 Instant Pots and competitors. We passed over some of the earlier Instant Pots, as the newer models (like the Duo Plus) offer features we wouldn’t want to pass up. Otherwise, we chose the ones with the best combination of high reviews, great features, and reasonable pricing. (If a multi-cooker was twice the price with half the features, it didn’t make the cut.) We exclusively tested moderately sized 6-quart versions, although you can find many of these multi-cookers in 3- to 8-quart models. To ensure each multi-cooker was a good all-rounder, we tested three recipe types. A classic comfort food (chicken noodle soup), a date night special (saffron risotto), and a finicky breakfast bowl (yogurt from scratch). We used the same ingredients for each, and took detailed notes about how easy or difficult it was to select the cooking functions and times, how the food came out, and how tough the multi-cooker was to clean. We also noted any surprises. Did the milk heat up to the right temperature for making yogurt? 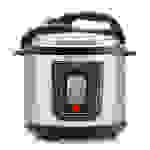 Did the multi-cooker flash a weird symbol during cooking? Did the steam valve spray hot milk everywhere and startle us so much we accidentally threw a recipe book across the room? For cleaning, we did everything by hand. We also took into account how helpful the manual was (and how much we needed to use it while cooking), whether or not it came with a recipe book, whether you could manually set cooking temperature and pressure rather than rely on pre-programmed functions, and whether or not those pre-programmed functions worked as expected. All of these were important in assessing the overall ease-of-use for these multi-cookers. One of the nice things about multi-cookers is that with enough time spent consulting the manual and Googling your questions, you can figure out even the most confounding of tasks. That said, if a multi-cooker left me wondering whether or not my food would be edible when it was finished, I took that into account. One cooking note: We learned quickly that you should have all of your ingredients ready to go before even turning on your multi-cooker. These things work fast, so your ingredients should be prepped before you start. The reason there's a growing online community around this gadget is because it works like a charm. The soup we cooked tasted like grandma’s, the risotto was delightfully creamy, and the yogurt turned out tangy and bright. The “Sterilize” function was also a great bonus, helpful for preparing the pot to make yogurt—the only function missing on our top choice, the Smart WiFi. While it wasn't as intuitive as I would have liked—and the lid occasionally tripped me up—I have a feeling this Instant Pot could still edge out your current slow cooker, and your rice cooker, and your favorite steaming method and, you get the idea. If you’re looking for a comprehensive Instant Pot with a longer history and larger user base than the Smart WiFi, this is your best bet. If you told us that the TaoTronics TT-EE006 Electric Pressure Cooker was a new Instant Pot model that had the wrong name printed on it, we would believe you. The sleek, sophisticated cooker has a panel almost identical to that of the IP Duo Plus, and it’s blue-on-black display is even more attractive, with all necessary information displayed clearly. I was also consistently impressed by this multi-cooker’s speed and power—its saute function worked like a charm, it got milk even hotter (without boiling) than the Instant Pot when it came time to make yogurt, and it produced some seriously flavorful risotto. But what the TaoTronics model has in power it seems to lack in some precision and control, which resulted in slightly-lumpy yogurt and overcooked chicken noodle soup. The hot hot heat of the pot also made it harder to clean at the end of each test, because there were often bits of food burned or stuck to the bottom. It’s a powerful, attractive cooker that can do just about anything the IP Duo Plus can, but you might not get the same perfect precision with all your recipes. Though the Midea MY-SS6062 looked quite different from the other multi-cookers—a white cube in a world of circular silver pots—its performance was undistinguished. The circular dial, menu display, and unhelpful manual made it tougher to use than more conventional rivals. We spent a fair bit of time guessing whether or not we were cooking something correctly, just hoping that we hadn't ruined the food. Everything ultimately tasted fine, but the inability to adjust the time of certain cooking functions (for instance, yogurt is stuck on six hours when most recipes call for almost 10), bumped this one down the list. The GeekChef 11-in-1 Multi-Functional Pressure Cooker looked just like the other models, but constantly kept us on our toes. Regardless of recipe, we always had to consult the manual, and even after doing so, we were never quite sure whether we were doing it right. So while the food turned out well, the cooking process was a guessing game that required us to cobble together hybridized instructions from Instant Pot tutorials we found online. The GeekChef also didn’t provide as much flexibility with pre-set cooking functions as we would have liked, as there were minimum times for some functions, which meant we needed to set a timer. Another nonstick model in our round-up, the Black and Decker Electric Multi-Cooker was a breeze to clean after every one of our tests. Unfortunately, clean-up was one of the only areas in which it excelled. The risotto turned out more like plain paella rice than creamy risotto despite following the recipe book’s directions, the soup was full of overcooked veggies, and the pot consistently took a longer time than other cookers to get to the desired temperature and pressure. So why the issues? 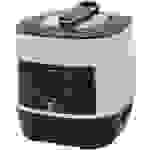 While the Black and Decker model looks a lot like the standard, Instant Pot-esque multi-cooker in terms of design, it lacks most of the buttons and functionality that make these devices so appealing—common functions like “Sauté” and “Pressure Cook” have been replaced by “Browning” and “Manual,” even though the manual control doesn’t allow you to alter the temperature or degree of pressure. Oh, and there’s no “Yogurt” button at all—so you may as well make your breakfast on the stovetop. While my yogurt came out fine, we didn’t appreciate having to do it the old-fashioned way (with constant stirring and temperature-taking) inside a shiny new device. Between this lack of features, the odd chemical smell that came from the pot while sauteing the onions for risotto, and the absence of alert noises that made us forget to depressurize at the right time, the Black and Decker multi-cooker has a lot of room for improvement.